Santa Claus came early to Haugland this year. 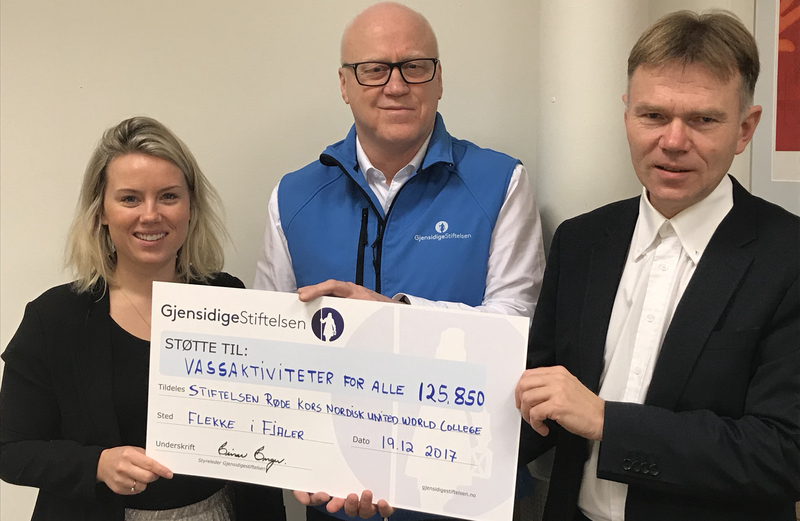 We have just got the good news that Gjensidige Foundation have granted UWC RCN 125,850NOK to be spent on dry suits for our kayaking and canoeing activities. We are really happy and grateful as this means we can have full year-round activity under the fjords for both students and visitors as well as more appropriate clothing for people with different disabilities, so everybody can participate on equal terms. Thank you Gjensidige Foundation! I remember the time I ran early in the morning to class but stopped to look over the ice-layered fjord mirroring the mountains and being passed by five others who also stopped, breathed in the frozen air and became completely mesmerized by the view for a moment and then ran off to class. It was beautiful for many reasons. 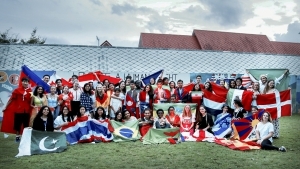 My United World College (UWC) experience goes under an umbrella of idealism, beauty and unity. For that time I sat by the rock looking over the campus from above and thinking how small it seemed and realising the world (was) so much greater than this place and that whichever problems we were facing on campus were extremely small in relation to the world’s issues – yet we were a part of it. For that beautiful time when I had a late night conversation on gender equality in different parts of the world, and for the time I had a debate about the meaning of love with people that shared a completely different opinion from mine. The consistent challenging of my ideals was something I now find beautiful. It broke down the walls of what once created my four sided “box” and allowed me to see the abstract world beyond it. It left me thinking about the world from more than a (single) perspective. Although it feels like it was yesterday that I arrived at Flekke, six months have passed since I left. Around two months after I left UWC Red Cross Nordic (RCN) I arrived at the airport in Phuket, Thailand. 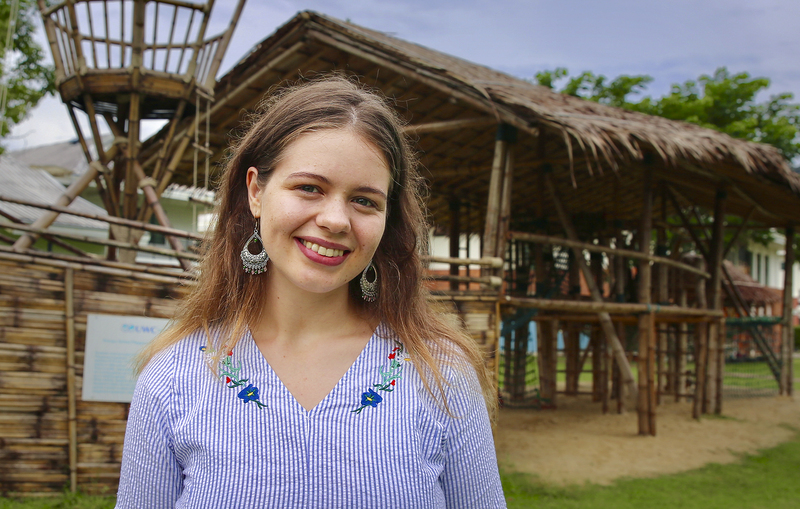 There I waited to be picked up and brought to UWC Thailand where I’m now an ‘intern for UWC development.’ When I stood outside the airport around four months ago I had no clue what to expect when I arrived on campus. I had no clue how this new UWC was structured or what my reality would look like. When I arrived on campus after 30 hours of traveling I found myself in a meeting room full of new teachers attempting to answer questions along with a few students whom I had just met on the topic: “What is UWC?” It felt quite surreal being asked by teachers about the essence of the UWC experience. I had just been a UWC student 2 months ago. It was then that I realised that I had arrived to an UWC that was still in transition and I was one of a relatively small team of staff with UWC experience. After all, it had only opened last year as a UWC. It has not always been easy trying to promote what I believe turns a school into a UWC school when very few can relate directly to what you say, although the will to understand is there. My role here is to help the school develop its own traditions and culture with the knowledge I have as a UWC alumna. I’m very grateful having the opportunity to be here and being able to give back what RCN taught me to this new member of our UWC family. Change does not happen overnight and it takes time to create a community where all members share the same values and interact in a positive manner. There is still a long way to go, but progress is being made. We just celebrated the first ever European cultural show and more are on the agenda in the near future. It’s just one example of an initiative that brings a community together. It makes people step out of their comfort zone and perform in front of a crowd and, at the same time, share culture through their performances. UWC taught me a lot of things, one of them is that if you want to get something done you must do it. Things do not happen by sitting by. I guess this is also something I’m learning to understand now – that actions must be made for any community not to become static. There is no limit to a community. UWC is an inclusive community as we do not only welcome differences but celebrate them – or this is what the aim must be. But this does not happen overnight and people have many preconceptions and biases they must overcome in order to be able to celebrate difference. UWC Thailand is structurally very different from RCN. For example, here there are students from the age of 18 months. An effective way to spread the mission and values down to the youngest members of the UWCT community will take time to develop. I’m realising that there are many things that will never be similiar to RCN. Here there are day and residential students. Although the experience might not be exactly the same as mine as a residential student at RCN I do think the outcome is the same because you have deliberate diversity of students and for Diploma Programme you have National Committee students that come into the last two years from both deliberately diverse cultural and socio-economic backgrounds, which I believe is a key factor making the UWC movement different from any other international school movement. One of the pillars of UWC Thailand is mindfulness. 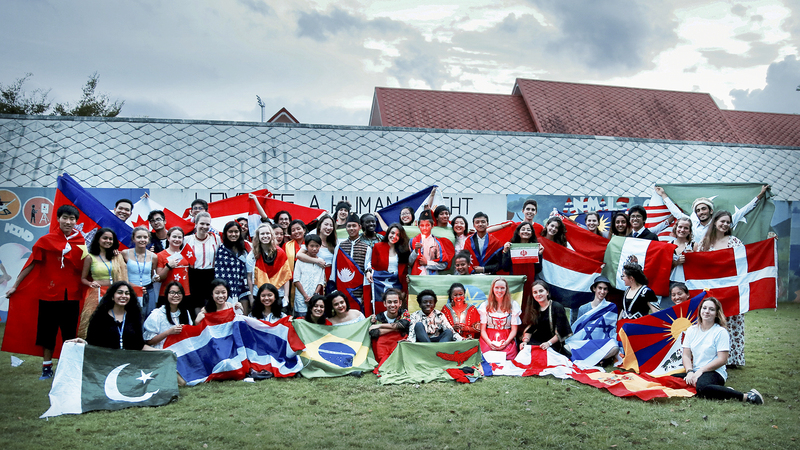 This is what makes UWC Thailand unique within the UWC movement. The focus on social and emotional learning I believe can be a great benefactor to the mental wellbeing of all members of the community. Last month I completed a 72 hours silent mindfulness retreat with a group of students and teachers. For me this was a life changing experience, making me understand the importance of silence and meditation. This, I believe, is very important in today’s society especially within schools where stress can easily accumulate. Meditation allows us to calm our mind and body simultaneously. Thus it can reduce mental health problems as we observe our thoughts arising and disappearing and eventually finding us focusing on the present moment without our consistent thoughts. My two years in Flekke flew by – the most transformative years of my life. The years where I grew and expanded my horizons in the shortest amount of time. RCN is in my eyes truly an ideal place created by people from all over the world that come to live together and share the same values. Values that still unite us today and will continue to influence our decisions throughout our lives. Living in Thailand where inequality is very visible has made me realise more the importance of universally accessible education. I find it hard to view inequality and injustice especially when it comes to the most vulnerable members of any society: children. This led me to further my interest in education and educational systems – as I believe education can play a key role towards a more just world. It also draws my attention to the vital importance of having schools like United World Colleges around the world aiming to unite people, nations and cultures for peace through education. It is my hope that the UWC movement will continue to grow successfully, always creating educational opportunities independent of people’s socio- and economic status. Five UWC Red Cross Nordic students – Akari (Japan), Henrik (Norway), Jinho (East Timor), Jorge (Mexico), Mikkeline (Denmark) – and one member of staff (Larry, our Rektor) attended the 2017 Nobel Peace Prize Ceremony in the City Hall in Oslo on Sunday 10th December. The Nobel Peace Prize 2017 was awarded to the International Campaign to Abolish Nuclear Weapons (ICAN). The organization received the award for its work to draw attention to the catastrophic humanitarian consequences of any use of nuclear weapons and for its ground-breaking efforts to achieve a treaty-based prohibition of such weapons. 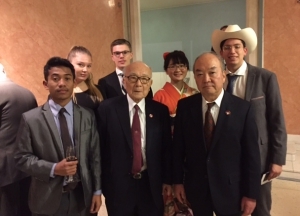 Please see the links for a) the presentation speech by Berit Reiss-Andersen, Chair of the Nobel Committee and b) the Nobel Lecture delivered jointly by ICAN’s Executive Director Beatrice Fihn (Sweden) and Setsuko Thurlow (Japan). And here is Al Jazeera’s coverage of the Nobel Interview with Beatrice Fihn. As Beatrice Fihn warned in her acceptance a speech we are a ‘tantrum away’ from a nuclear war. The world turns its attention every year to the Nobel Peace Prize in Oslo and, given UWC’s mission for peace and a sustainable future, it is pertinent that our students are invited to attend the ceremony. 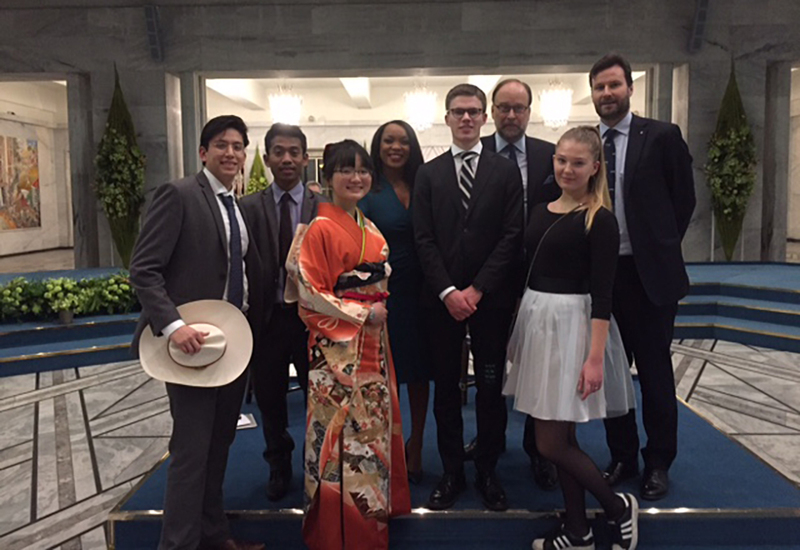 The awarding of the prize this year holds special significance for us as a College given we currently have two Japanese students on campus – Akari and Chisato. 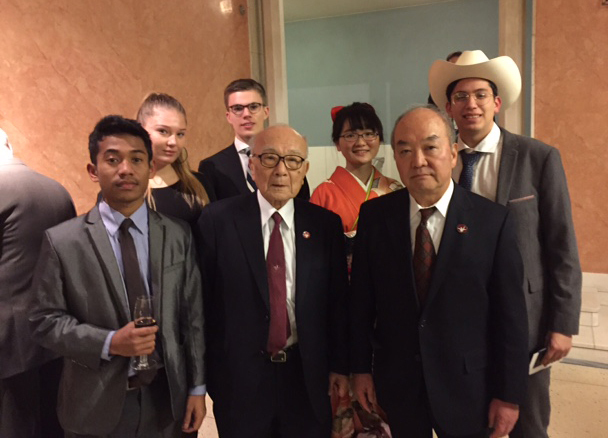 Akari took the initiative to set up a meeting directly before the ceremony with representatives from the Japan Confederation of A- and H-Bomb Sufferers Organization: Terumi Tanaka Representative (experienced the A-bomb in Nagasaki) and Toshiki Fujimori, the Deputy Secretary General (experienced the A-bomb in Hiroshima). All students from RCN were invited to submit questions in advance and Akari translated and relayed them to the two survivors. Our students were interviewed by various Japanese news agencies. What do you think about Norway voting against the nuclear ban treaty? Do you realistically see a future in the world with a stable power balance, where nuclear weapons are not involved? The news feature is available on Al Jazeera’s website. 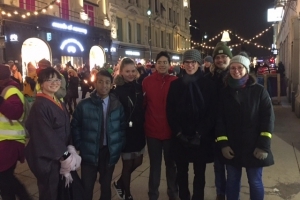 We concluded an exciting day by joining the candlelit peace parade through the streets of Oslo to the Grand Hotel where the prize winners greeted the general public from the balcony. Given UWC’s commitment to ‘peace and a sustainable future’, please join us here at UWC Red Cross Nordic and across all 17 UWCs (including our sister college in Japan which opened this year as a UWC) in congratulating ICAN for its ongoing commitment to a world without nuclear weapons – and in celebrating the award of this year’s Nobel Peace Prize. Our University Counsellors, Mark and Hildegunn, continue to do a wonderful job to introduce our students to different pathways beyond UWC Red Cross Nordic. 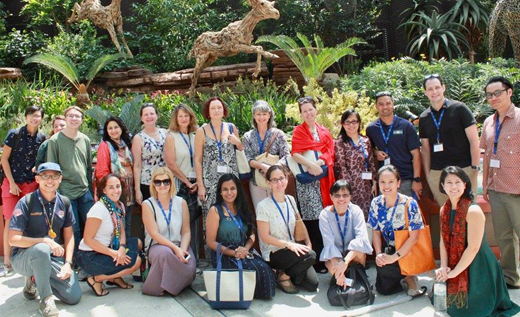 Throughout this term, they have hosted many counsellors on campus from universities in partnership with the Davis United World College Scholars’ Programme. They also work hard to promote to RCN students other universities across the world – and they hosted a representative on campus from the African Leadership University for the first time. In late October, Hildegunn visited Singapore Yale NUS (National University of Singapore) to find out more about the university. As the autumn season comes to a close, they have been supporting second year students applying to the Nordic region, North America, the UK (including Oxbridge), the Netherlands, other universities in Europe, New York University of Abu Dhabi, universities in China, Hong Kong and Japan, and many other institutions. Thank you for their continued guidance and support of our students.